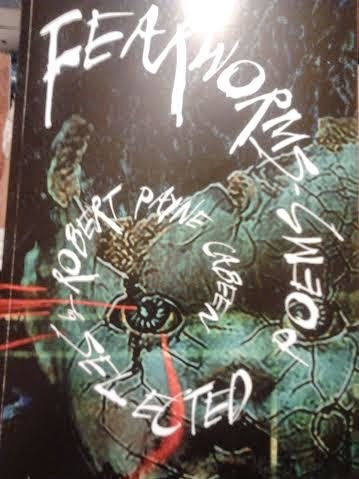 This book wasn't exactly to my taste but nonetheless the poems were extremely entertaining and clever. My favorite poem is the Promise. 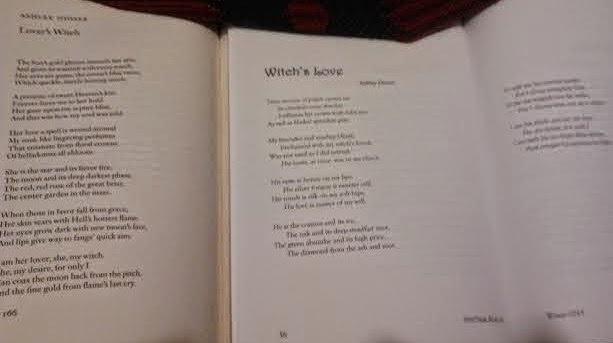 This poem was melancholy and summoned vivid images that invoked the sense of loss and sadness the poem spoke of. The language of it was elegant and grabbed you immediately. Krampus Comes to Town was also a poem I enjoyed very much. 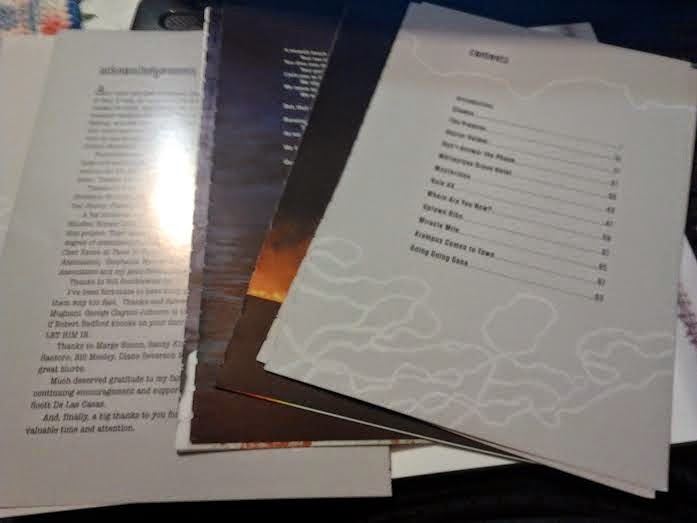 The artwork is amazing and I love the randomness of themes, layouts, and fonts for each page. 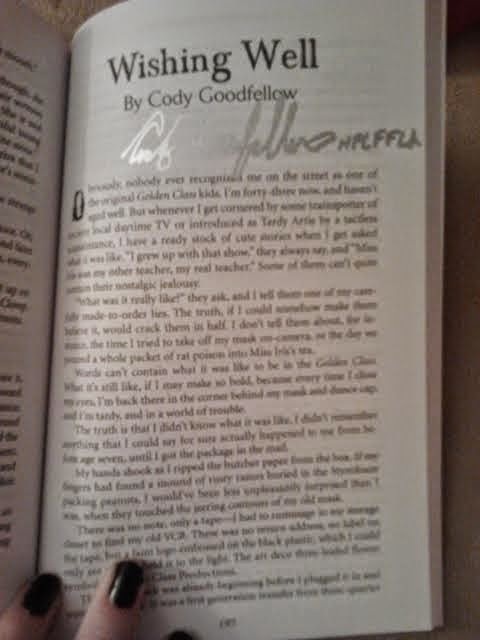 There is only one issue I have with this book and that it seems I must have picked a poorly bound copy. A majority of the first half of the book is completely unattached now from the spine. I can't turn a page without fear of the page coming out with my hand. 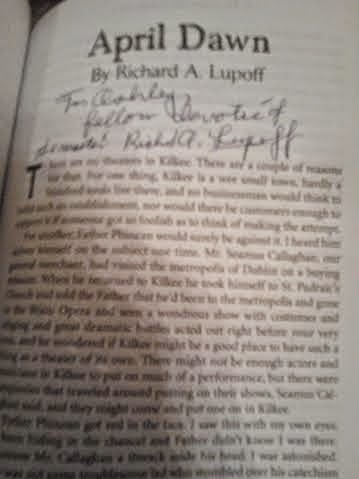 This is a newly bought book and I am disappointed that it is in the condition it is now from one reading. I don't know if all the books are like that or if it's just mine, just make sure when you get yours you flip through the pages first. 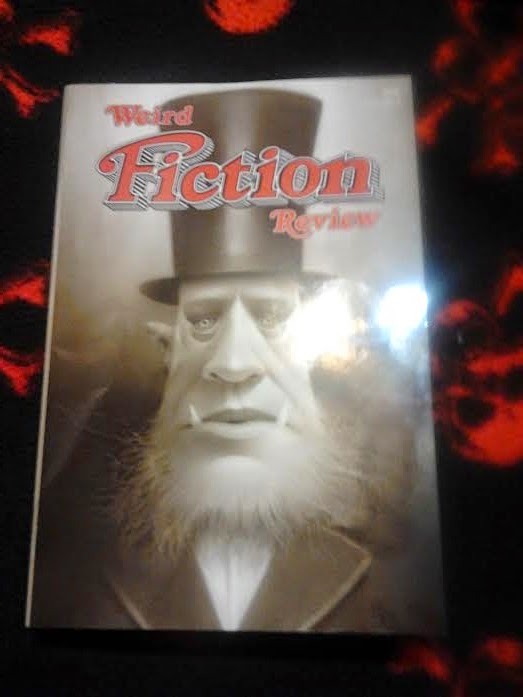 Overall this book was incredibly entertaining even if not to my exact taste and I love the narrative style these poems are written in and the artwork is a fun addition. 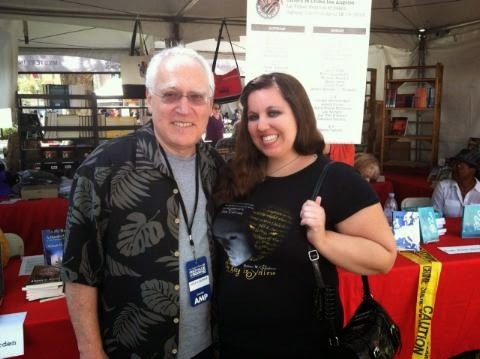 Kyle and I attended the LA Book Festival on Sunday and had a blast. We went straight for the HWA booth, of course, and had a lovely chat with Hal Bodner, who we spoke briefly with at the Paperback Show. He told us interesting stories about the after party that we attended later that day. Too bad we missed him there. 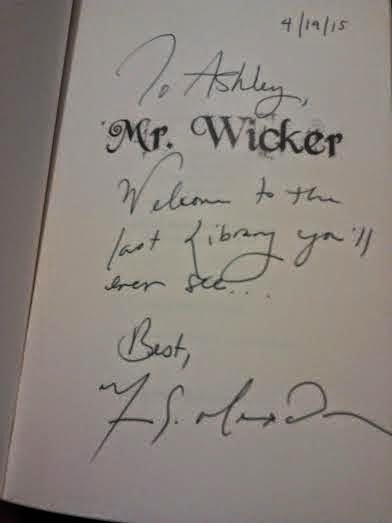 I got my copy of Mr. Wicker signed by Maria Alexander and bought a poetry book by Robert Payne Cabeen that he signed for me as well. We wandered through the many books and I picked up some awesome Robert E. Howard books, Bran Mac Morn: The Last King and the Best of Robert E. Howard Vol. 2: Grim Lands. We also had the privilege of running into Leslie Klinger at the the Mystery Writers of America booth. 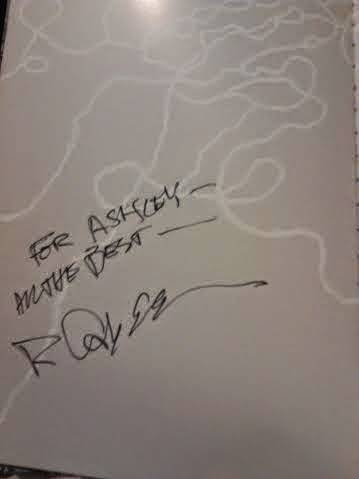 He asked us if we've gotten his Annotated Lovecraft book yet and we had to unfortunately say not yet. Yet, is the key word though! 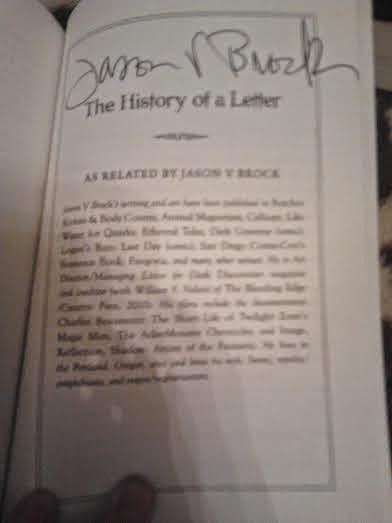 My dad bought his Sherlock Holmes book though, so I'm sure that makes up for something. 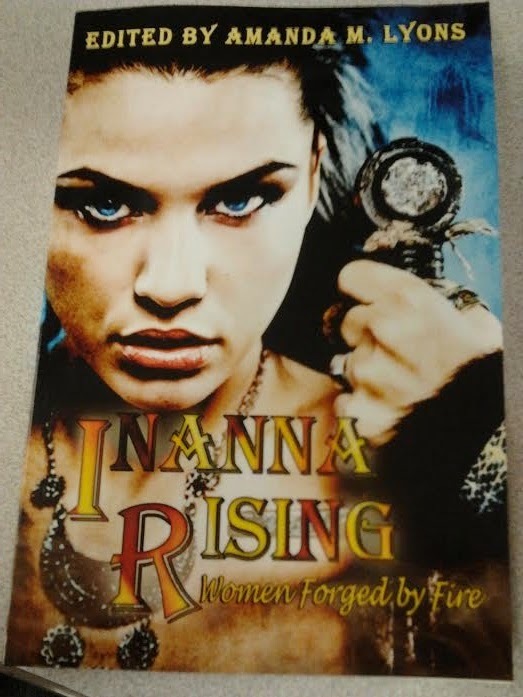 Here's an awesome little nod to my poem Medusa in Inanna Rising: Women Forged in Fire by J Ellington Ashton Press. I was looking forward to this series and hoped to grab the first one but Barnes and Noble had already swapped out the first with second one, so I got it anyway. 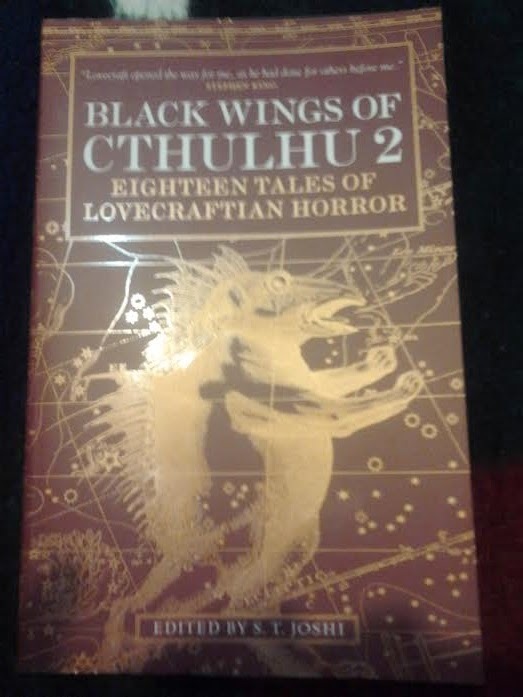 The stories were very interesting and varied in their Lovecraftian themes. I really want to snag the first one now and continue to get the rest to add to my collection. I have heard good things about this series and if they're all as awesome as this one, I will be stoked. A few favorites include the Abject by Richard Gavin, Bloom by John Langan, the Clockwork King, the Queen of Glass, and the Man with the Hundred Knives, Correlated Discontents by Rick Dakan, and Appointed by Chet Williamson. 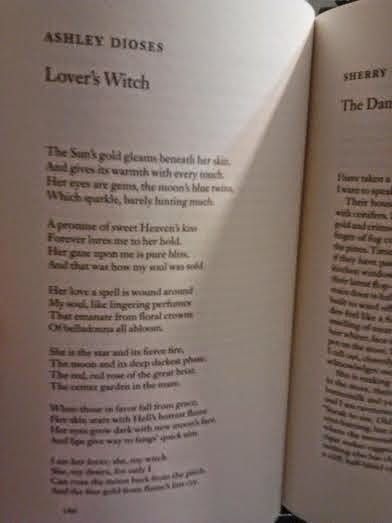 Anyway, my poem is called Medusa's Mirror and it is a sonnet. I don't write too many sonnets, for I think the form is a little too restricting for my taste, but I am very happy with the outcome with this one. 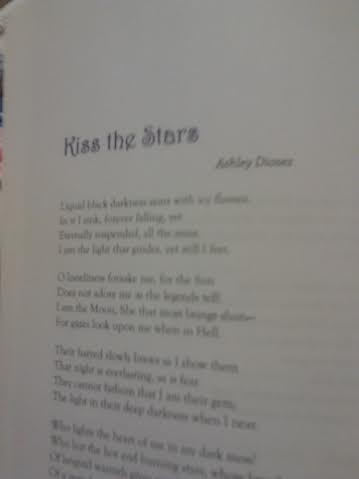 I hope you all will pick up this issue and enjoy my poem when it comes out. 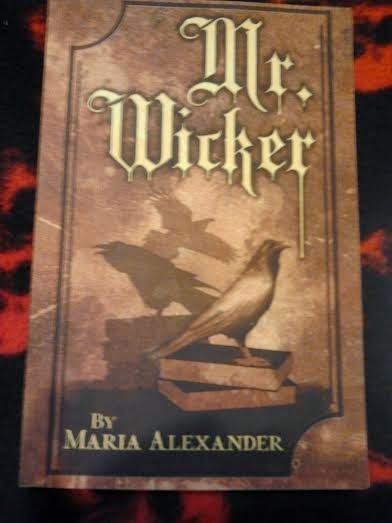 This is also by the same publisher that published the charming book the Fall of the House of Drake: Seven Black Pixy Tales with Interlaced Ballads by Adam Bolivar. 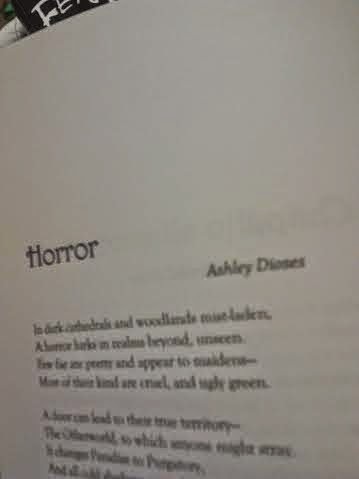 I have written two poems that form a unique pair when read together. They form two different points of view for each narrator talks about the other. 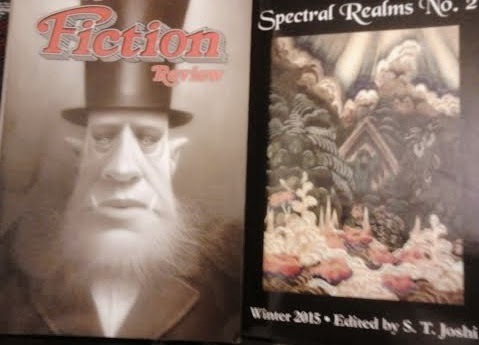 Lover's Witch can be found in Weird Fiction Review #5 and Witch's Love can be found in Spectral Realms No. 2. 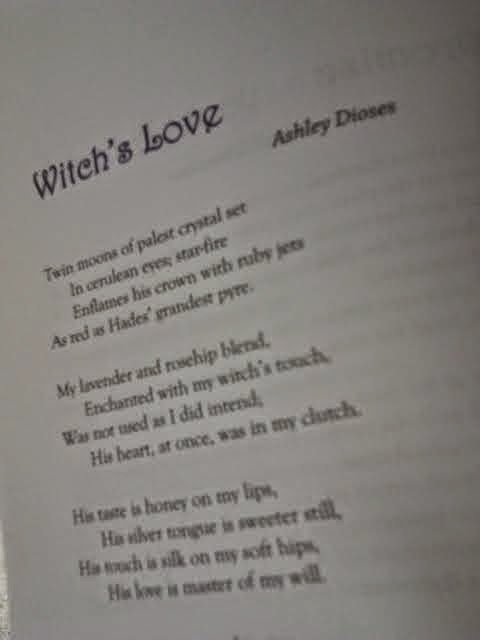 They can be read in any order though I wrote Lover's Witch first. 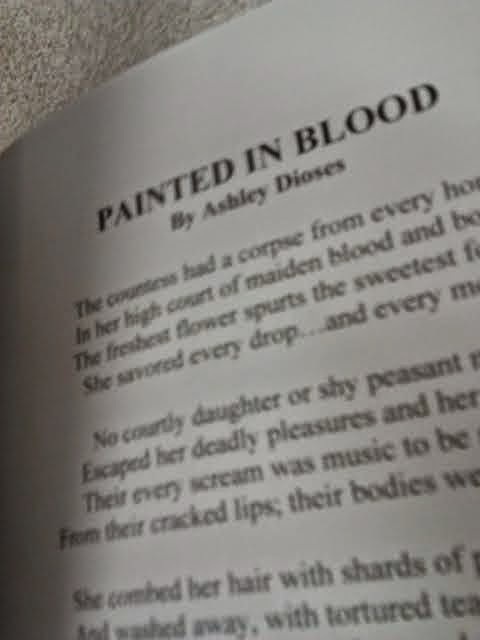 I was so excited to hear this about my poem! 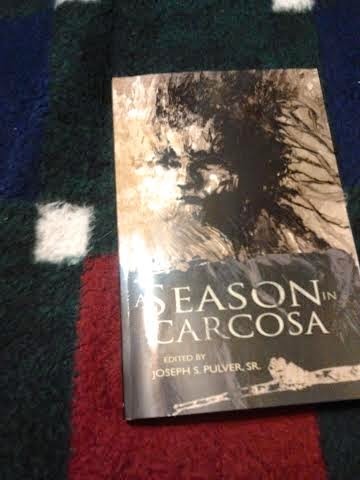 Book Review- A Season in Carcosa edited by Joseph S. Pulver, Sr. 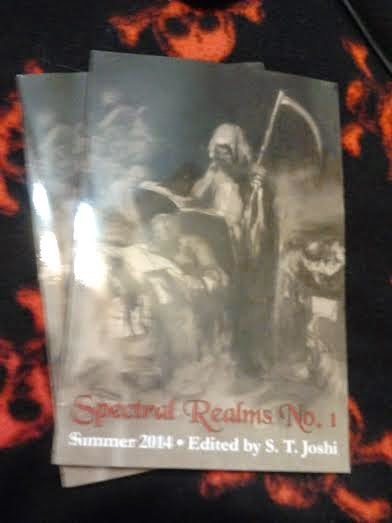 This anthology of King in Yellow mythos stories was just as awesome as I heard it was. I highly recommend this to all King in Yellow fans. The majority of the stories in this were gems and well worth the read. 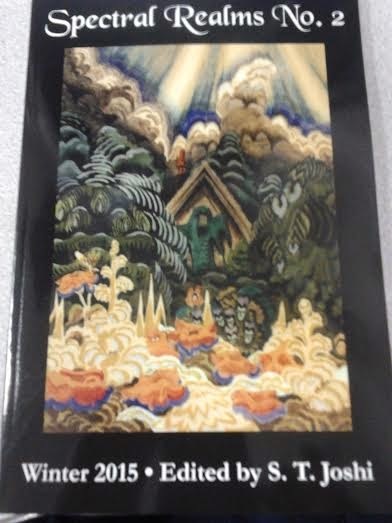 Some favorites of mine include the Hymn of the Hyades by Richard Gavin, April Dawn by Richard A. Lupoff, the White-Face at Dawn by Michael Kelly, Wishing Well by Cody Goodfellow, and Sweetums by John Langan.